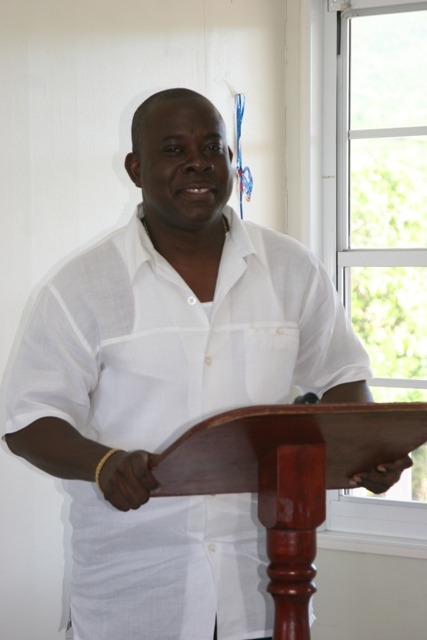 (file photo) Minister of Agriculture, Fisheries and Cooperatives in the Nevis Island Administration the Honourable E. Robelto Hector. NIA-CHARLESTOWN, NEVIS (April 13TH, 2011) — Nevis’ Minister of Agriculture, Fisheries and Cooperatives the Honourable E. Robelto Hector continues to publicly record his appreciation to the Republic of China on Taiwan [ROC], the Inter-American Institute for Cooperation and Agriculture [IICA], the Caribbean Agriculture Research and Development Institute [CARDI] and the Food and Agriculture Organisation [FAO]. The ROC, together with the agriculture-based institutes and organisations, had injected significant resources into Nevis’ agriculture sector. Those resources, Mr. Hector explained, would not have been possible without the strong links his ministry had forged with the ROC, IICA, CARDI and the FAO. The agriculture official said he was confident that with advances in vermin-culture, hydroponics, reforestation, tree planting and the abattoir and extension services, Nevis’ agriculture sector would continue to thrive. “Our abattoir service is central to our meat demands here on Nevis,” he affirmed, adding that farmers, hoteliers, restaurant operators, coordinators of the school feeding programme and the general public could attest to his claim. “Whether it be ground beef, hamburger patties, smoked meat, smoked patties, sausages or the special cuts; our clientele can give testimony of the importance of the abattoir,” he said. In speaking of the extension services within his ministry, Mr. Hector said, “our extension system is primarily designed to assist farmers and the general public,” adding that it had been achieving that goal. Minister Hector’s remarks were made at the Mar. 24 opening ceremony of the 17th annual Agriculture Open Day.